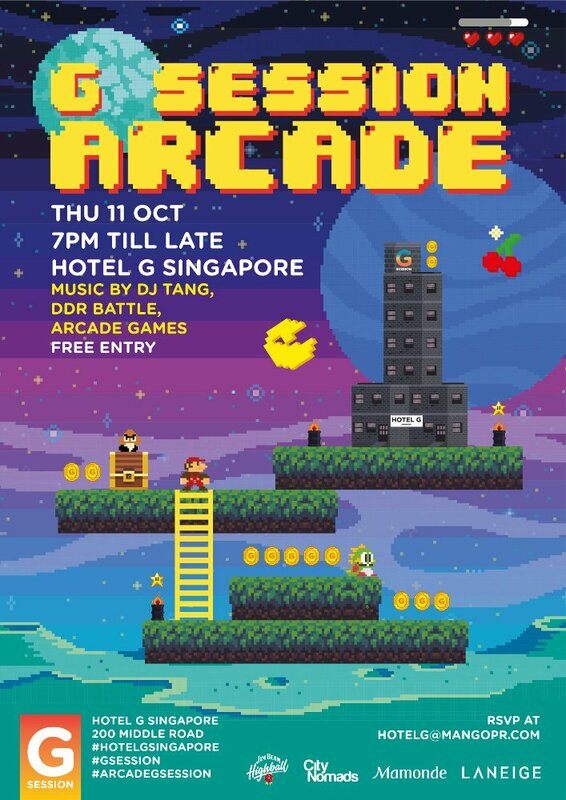 Take Throwback Thursday to the next level as Hotel G Singapore transforms into your favourite arcade of yesteryear with the launch of G Sessions in Singapore. A bi-annual series of parties taking place across Hotel G’s properties in the region, G Sessions is a blend of Design, Fashion, Arts, Music and Culture—pillars that have become synonymous with the brand’s DNA. For one night only, take a recess break from adulting and head for the neon lights of Arcade G Session. Lose yourself in a Dance Dance Revolution dance-off with professional DDR enthusiasts or bring your A-game to the claw machines. With prizes from the likes of Laneige, Mamonde and Hotel G Singapore to be won, the stakes just got higher. For those who prefer a little action, battle it out in a game of Bishi Bashi with your pals or give the Hi-Striker machine a go to earn yourself some free drinks. Hip-hop heads can rejoice with DJ Tang helming the turntables, grooving along to beats reminiscent of bygone club nights of your wasted youth. Open to the public with free entry, Ginett will be serving a special menu just for this G-Session including juicy boback hotdogs, burgers and sweet potato fries.